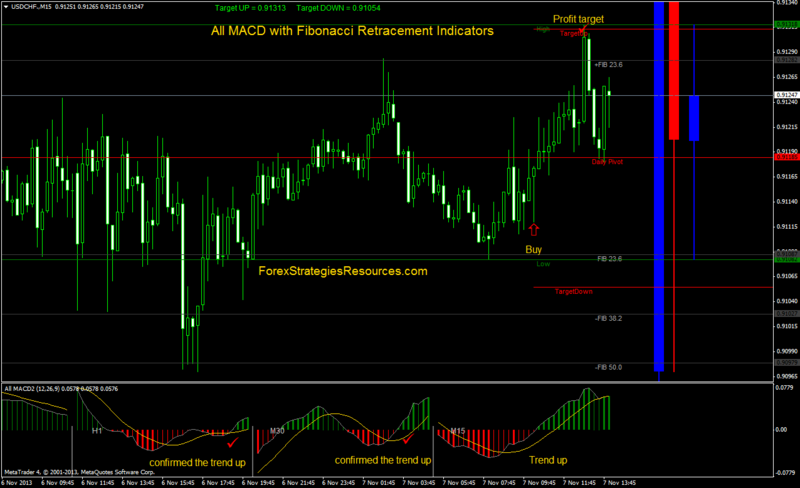 All MACD with Fibonacci Pivot Indicator is an trading system based on two principle: Multi time frame and Fibonacci Pivot. This forex strategy works in intraday. The Entry position is determined by the same direction of three time frames the target profit depends by Fibonacci Pivot. When the MACD 15min time frame is in trend up(the bars are above the line of the MACD) and it's confirmed by other time frames 30min and 60 min, entry a long position. When the MACD 15min time frame is in trend down(the bars are below the line of the MACD) and it's confirmed by other time frames 30min and 60 min, entry a short position. Initial stop loss 25 pips, 1° profit target at the levels of the Fibonacci pivot (recommended +23,6 Fibonacci pivot for buy and -23,6 Fibonaccipivot for sell ). All MACD Indicator: Intraday Trading System is a forex strategy very simple and effective. In the pictures below All MACD Indicator: Intraday Trading System in action. 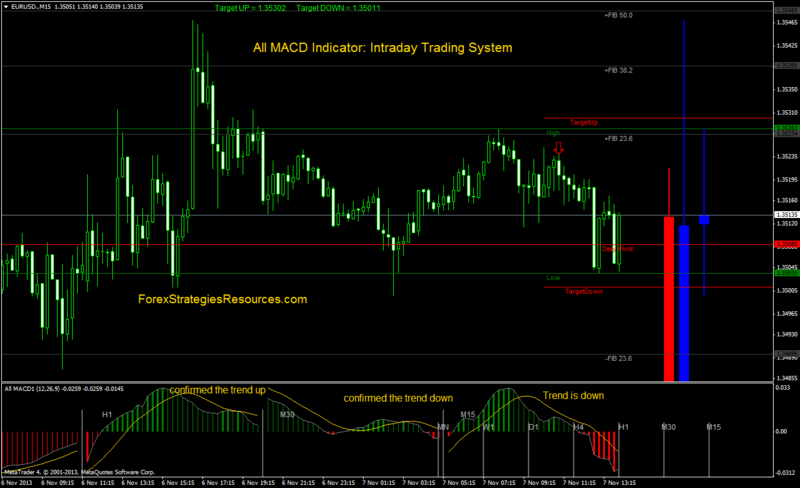 All MACD Indicator: Intraday Trading System (Template and indicators metatrader 4).